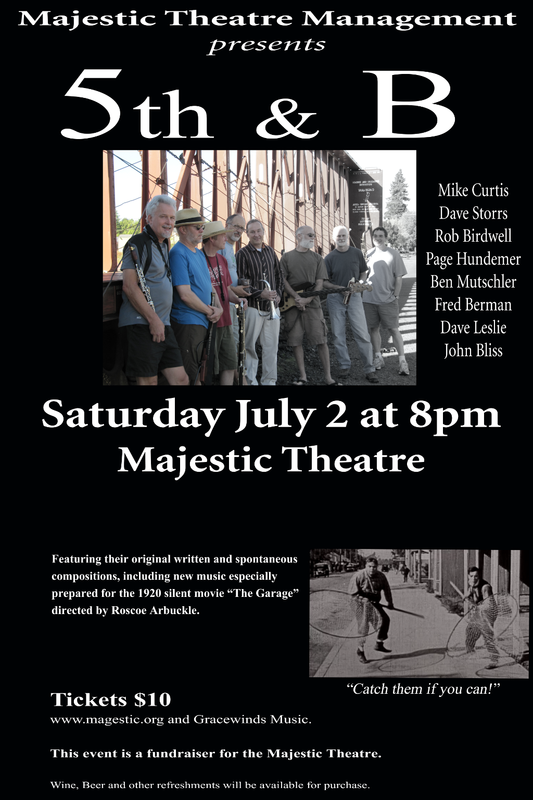 Join us for an evening of music with 5th & B and support the Majestic Theatre! This will be an entertaining evening of music and it's a great cause. 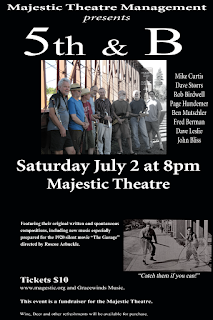 The show is Saturday July 2 at 8pm. Tickets $10 - wine, beer and other refreshments available for purchase. This event is a fundraiser for the Majestic Theatre.